◆Lace frontals and lace closures are both very useful in creating beautiful sew in installations. ◆They both serve the same purpose, which is to close off an install. ◆They both eliminate the need for blending. ◆They are both made of either Swiss lace or French lace. Lace frontal and lace closure are top choices today,which one sis better?It is naturally important that you know what difference exists between the them. Don’t worry,we will discuss the difference in this blog post.It’s really not as difficult to understand once you break down the word with pictures. First, let’s talking about what’s lace frontal closure? Lace Frontal Closure is a half wig which goes from ear to ear and is sewn with approximately 3-4 bundles of hair. The size is 13” across and 4” back. The frontal can be held in different styles and you can hold the hair back whereas the closure cannot be held back. A lace frontal is used when you want to recreate the entire hairline from ear to ear and about 2 inches back. Frontals are also really popular with women who have traction alopecia or thinning edges. ★This is 7A high quality 100% virgin human hair lace frontal. Lightly bleached knots to avoid shedding problem. The best hair ever for the super deal! ★The lace frontals can be dyed, curled, straightened and restyled as you like. 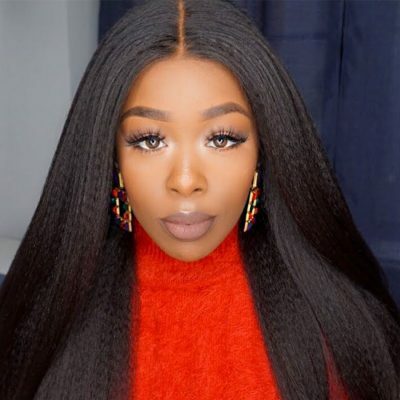 Why Choose Lace Frontal Hair? ♥ First, ear to ear lace front closure is more comfortable to install and wear. 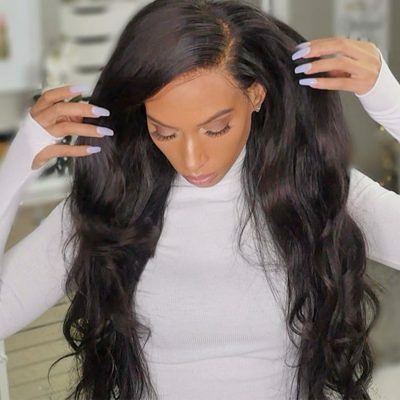 Many women who wear lace frontals use them when they want to try a completely different color or texture from their natural hair color or when they want to protect their edges and hair that they normally leave out in sewing in hair extensions. ♥ Second, a lace frontal has its unmatched styling versatility. Wearing a lace frontal can allow you to achieve a styling option that a closure doesn’t; frontals allow you to wear pulled back hairstyles. A lace frontal covers the entire hairline and will allow you to achieve a seamless style that you can pull back off of your face. ♥ Third, lace frontal closure 13×4 saves less hair bundles compared to lace closure. It seems that lace frontal is expensive individually but from the whole, you can buy less hair bundles to match. Thus you also save sew-in and wear comfortable. ♥ Finally,frontals can be used to conceal the loss of hair along the hairline. They have an ear to ear coverage area designed to mimic your own hairline. Frontals can also be used to create a more affordable lace wig. You can make wig according to this tutorial-How To Make A Lace Frontal Wig?. Next, let’s talking about what’s lace closure? A lace closure is different from a frontal because it does not cover your head from temple to temple. Instead, closures are installed in the “horseshoe” area of the head to close of the style, hence the name closure. Closures are typically 4” X 4” but can come in slightly smaller or larger sizes. 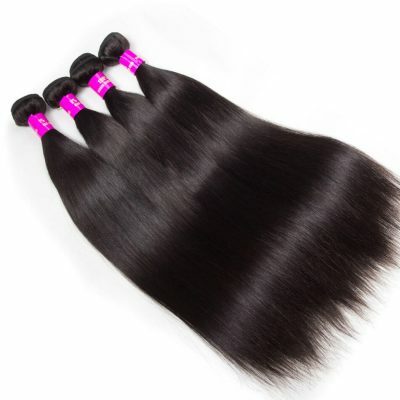 ★1.Hair material:7A 100% unprocessed virgin human Hair.Top quality and best service. 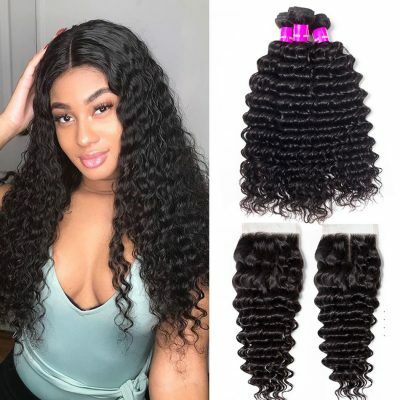 ★ 2.Free part closure: 10inches,lace closure 4×4inches; Nature Black;Body Wave; Can keep the texture after wash.
★ 3.Lace closure :swiss lace, hand tied, 130%density, can be dyed, permed, bleached, highlighted, curled or styled as your own hair. ★4.For the closure human hair,No shedding, tangle fee, soft and smooth, glossy, full guticle, no Smell, no knots, no lice, with thick bottom, No short hair. ♥ Versatile Part.Lace Closures are a fairly popular item for women who care about their hair. The flexibility and versatility of closures make them applicable for just about all types of hair, whether natural, scanty, permed or the less thrilling receding hairline. 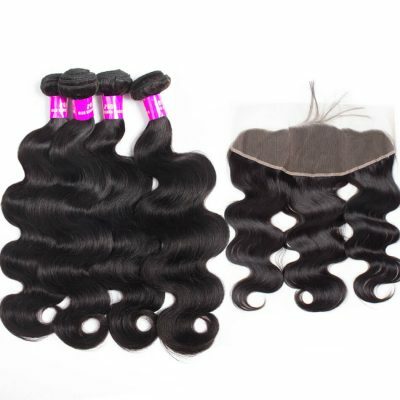 evanhair Mall have best quality lace closure: free part、middle part and three part closure. ♥ Color to go.You dye your weave any color your heart desires without having to color your real hair to match. You no longer have to worry about damaging your real strands trying to color match your weave to your leave out. ♥ No Blending, No Worries! For women who wear human hair weave, it is very important to makes the hair wigs look natural. Lace closure is often required to makes your own hair and human hair pieces well blended at the hairline area. ♥ Protective style.Lace closure is usually installed by sewn in to cover the top area where the weaving hair gets sewn in. It also can gives wearer a natural hairline and scalp area with no hair leave out with properly installtion. ●Size: The most obvious difference between lace frontals and lace closures are the size. Closures are typically 4 x 4 inches.While frontals are 13*4 inches.Lace frontals are bigger mainly because they run temple to temple to cover the entire hairline. Lace closures are smaller because their primary purpose is to close off an install hence the name closure. Closures typically only cover a horseshoe size portion at the top or front of an install. ●Materials: Both closures and frontals are typically made with either lace or silk. Some frontals are even made with both silks in the middle 4×4 section and lace on either side. While silk base closures tend to mimic a scalp more accurately when viewed up close, lace based closures and frontals are preferred as the material lays much flatter against and blends better with the scalp. This allows lace users to achieve not just a natural, but accurate replica of their own scalp. ●Versatility: The main benefit of choosing a lace frontal is its unmatched styling versatility. Wearing a lace frontal can allow you to achieve a styling option that a closure doesn’t; frontals allow you to wear pulled back hairstyles. Remember closures only cover a small portion of the front of the install making it impossible to pull back the sides without exposing tracks. A lace frontal covers the entire hairline and will allow you to achieve a seamless style that you can pull back off of your face. ●Installation: Both closures and frontals can be sewn in or constructed into a wig. They can then be sewn down around the edges or worn as a removable wig with a band and laid down with some hair gel. Ultimately, a wig with a frontal will provide its wearer with the most styling versatility, but closures remain the most appropriate option for simple everyday looks (like ones with a middle part) and/or for those who wish to maintain an exact style. 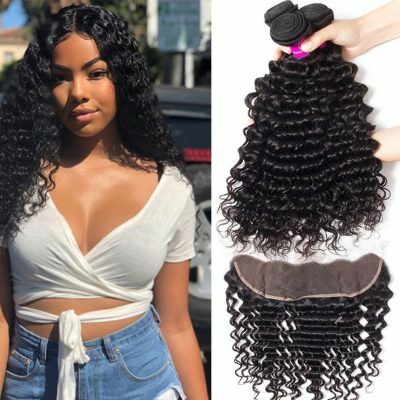 Besides, another difference between the two is that lace closures are sewn into place while lace frontals are generally meant to be bonded in place. While both can be placed either in front or behind the hairline, lace frontals are commonly placed in front of the hairline usually because they are bonded. ●Cost:They cost are not same.Lace frontals are much expensive than lace closure at least 30$. 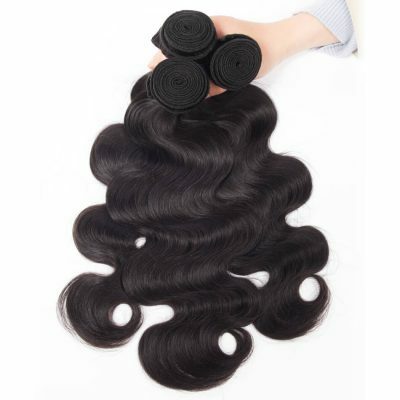 Most customers usually complain the lace frontal is expensive, but they don’t see the advantages of lace frontals and the potential savings. Lace Frontal Vs Lace Closure, How To Choose? 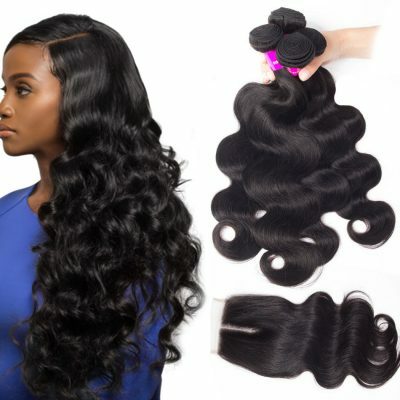 In evanhair.com, you can find both in: https://www.evanhair.com/bundles-with-closure/. Various texture contains Brazilian, Peruvian, Indian, Malaysian lace closures are available for you to choose. And various parting style: free part, middle part and three part lace closures are available for you to create a perfect and natural hairline. Either way they both will enhance your install by giving it the natural look that we all go for! If you are interested, you can find them in evanhair hair store. 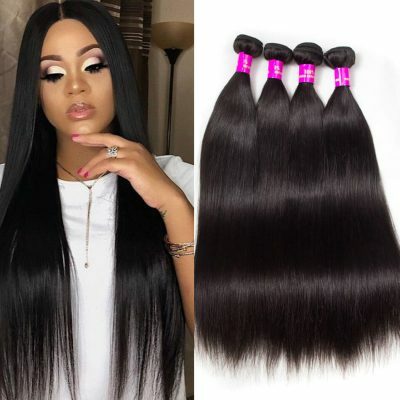 No matter you want a free part, middle part or three part remy human hair lace closure, you can always find a perfect one for the natural hairline, there are different hairstyles for your choice, just what you are looking for.